Gustav Klimt (July 14, 1862 – February 6, 1918) was an Austrian painter noted for his early murals and his later paintings of the female form. He was one of the most founding members of the Vienna Secession movement and was influenced by Japanese art and its methods. While attending the Vienna School of Arts and Crafts, Klimt formed a team “The Company of Artists” with his brother and a friend, who also attended the School. Klimt’s Company received a number of commissions for murals, which began Klimt’s early professional career painting interior murals and ceilings in Vienna. In 1888 Klimt received the Golden Order of Merit from Emperor Franz Josef I of Austria for his contributions to murals painted in the Burgtheater in Vienna. In 1888, as well, his father and brother died, which affected his artistic work, moving him towards a new personal style, which questioned the policy of the ruling Habsburgs to ignore the social concerns of the day. His new style, more overtly sexual than most artists of the day, was a cause for controversy. His work to create three paintings for the Great Hall of the University of Vienna, commissioned in 1894, was labeled as pornographic and were not hung. He accepted no more public commissions after this time, but developed his use of gold leaf. This, his “golden age” garnered him critical acclaim and financial success and was said to inspire other artists. His work The Kiss, is thought to be of him and his companion Emilie Louise Flöge. It is believed that he fathered 14 children of his own, as well as supported the families of his father and brother after their deaths. 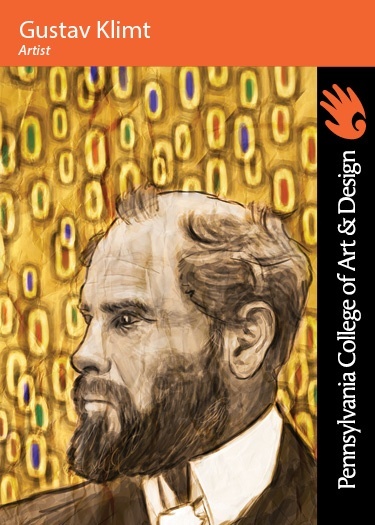 Klimt became one of the founding members and president of the Vienna Secession in 1897. Secession artists espoused the theme "To every age its art. To every art its freedom." and were concerned with exploring of art outside the traditions of academic study. Between 1905 and 1909, Klimt painted a number of society women wrapped in fur. In 1911 his painting Death and Life received first prize in the world exhibitions in Rome. 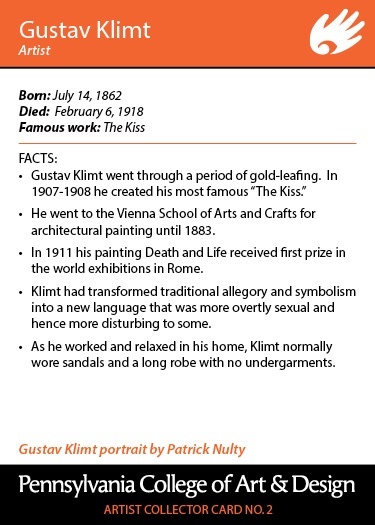 Klimt died in Vienna on February 6, 1918, a victim of the influenza pandemic. Numerous paintings by him were left unfinished. His works continue to command some of the highest prices paid.